Pears are the peaches of fall— the delicate, perishable gems that epitomize the season with their juicy sweet flesh. A ripe Bartlett melting in your mouth… it even tastes like you should be wearing boots and a cozy sweater. But eating a pear out of hand is only one of many ways to enjoy them. From breakfast with oatmeal or in a smoothie (skip the banana and try adding pear! ), to lunch in a frisée salad with cheese and nuts, dinner in a gourmet grilled cheese sandwich, and finally dessert in an upside-down cake or poached on sautéd bread with cream. 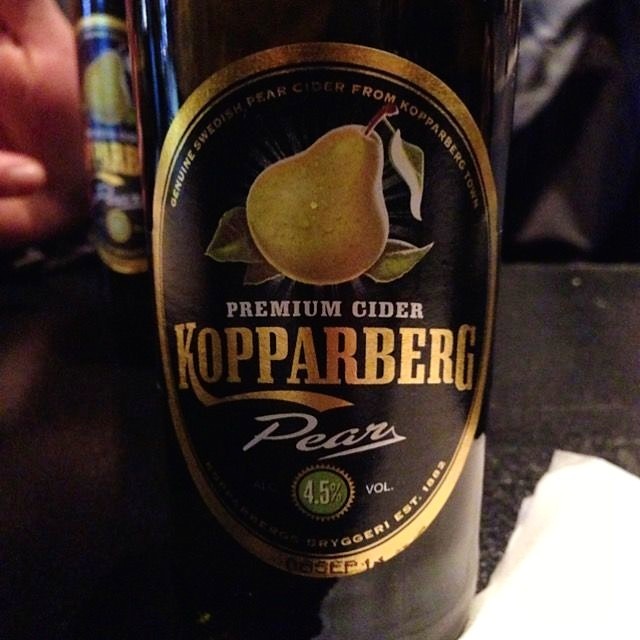 Oh, and we can’t forget drinks— pear brandy or hard pear cider… It was just Oktoberfest, after all. 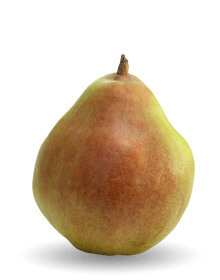 Did you know that the vast majority of pears in our country are grown in Oregon and Washington? While the East Coast has its share of trees, the climate in the Pacific Northwest is perfect for pears. They are high in soluble fiber (higher than apples), making them great at helping to lower bad LDL cholesterol. They are chock-full of vitamins and minerals that fight free radicals and boost the immune system. And supposedly a glass of pear juice even helps bring down a fever! Don’t be deterred by a firm pear. Pears ripen from the inside out, so by the time the skin is nice and soft, you’ll likely have a mushy mess in the middle. Another fun fact: if allowed to ripen fully on the tree, pears can develop a gritty texture, so they are one of the few fruits that are picked before they are ready to be consumed. Let pears sit on the counter at room temperature until the fruit gives slightly when pressed near the stem— then you know it’s ripe, and ready to be devoured. Not ripening quickly enough? Put them in a paper bag to trap the ethylene gas they release and hasten the ripening process. Ripe too early? Store them in the fridge. 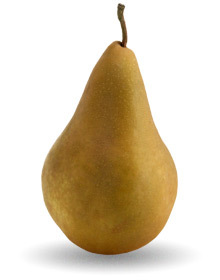 The Bosc pear’s flesh remains quite firm when ripe, so it can be hard to tell when the pear is ready to eat. Look for a bit of wrinkling around the base of the stem. The firm texture also means it’s great for poaching! And while the russet skin is beautiful, peel it off before you stick the pears in the pan. Like the Bosc, the Concorde remains firm when ripe, and stands up well to baking and cooking. It is sweet with a slight vanilla flavor, and tends not to brown as much as other varieties once cut, making it perfect for cheese boards and salads as well. The Green Anjou is less sweet than other varieties, and has a nice citrus flavor. This pear is perfect in a salad with a bright vinaigrette, but it also stands up well to baking. Looking for some color? Try the slightly sweeter Red Anjou as well. 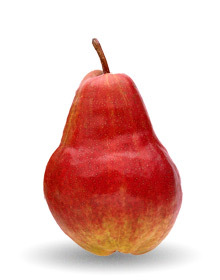 This French pear is unbeatable. It’s silky in texture and irresistibly sweet and juicy, making it the perfect choice for a tasty treat directly from the tree. Plus it’s beautiful— the color of its skin ranges from green to yellow with splashes of red. 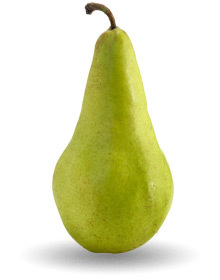 While sweeter and more floral in flavor than the traditional yellow Bartlett, both pears are actually quite similar. They are an early season pear, ripening in late summer to early fall, and are excellent for canning due to their sweetness, texture and acidity. 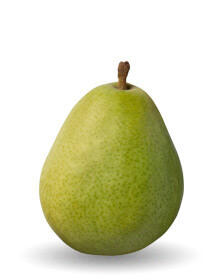 Likely the only truly American variety, this pear has a short growing season. 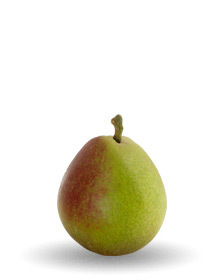 Don’t underestimate the Seckel due to its tiny size— it is often called the sugar pear because of its robust sweetness. 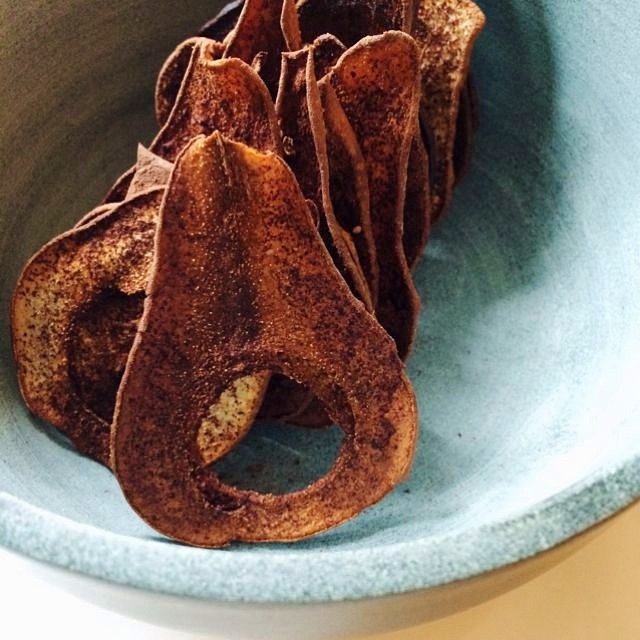 Quite versatile, the Seckel is great with cheese and wine, cooked, and raw. Fall fruit, warm crostini, fresh salad. If this isn’t Autumn, we don’t know what is. Serves 4-6. Make the vinaigrette: Put the shallot in a small bowl with the vinegar and a good pinch of salt and pepper to taste. Let macerate for 5 to 10 minutes. Stir in the mustard, then whisk in the oils. Taste and adjust seasoning. Make the crostini: Heat the oil in a skillet over medium-high heat. Add the onion and brown, turning frequently. When it begins to soften, season generously with salt and pepper; reduce heat to medium. Continue cooking for about 5 minutes, until nicely caramelized. Add the rosemary and transfer to a bowl to cool to room temperature. Heat the oven to 400 degrees. Put the bread in the toaster until lightly browned, then lay the slices on a baking sheet. 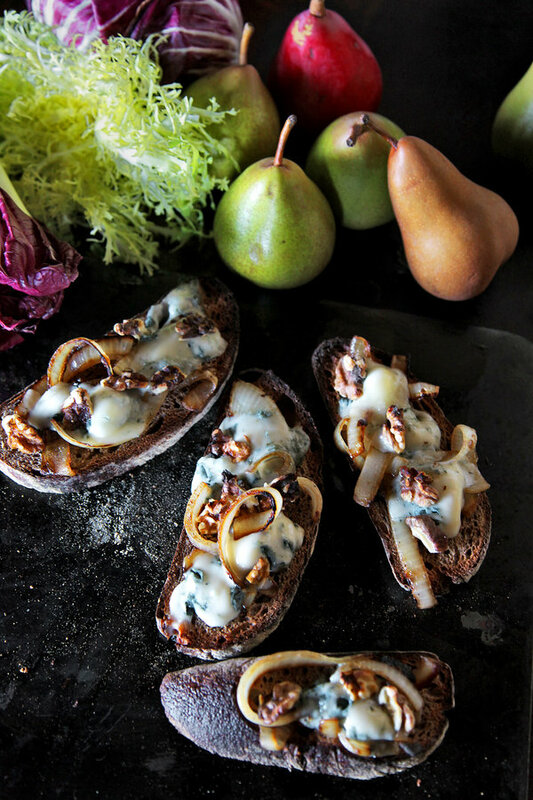 Spread about 1/2 ounce Gorgonzola on each toast, then top with the onion mixture and 3 or 4 walnut halves. Bake on the top shelf of the oven until bubbling and lightly browned, 5 to 7 minutes. Cut into wedges if desired. Assemble the salad: Put the greens and chopped celery in a low wide salad bowl. Just before serving, lightly sprinkle with salt and pepper, then toss with half the vinaigrette, just coating the leaves. Peel, core and slice the pears. Dress the slices with the rest of the vinaigrette in a separate bowl, spoon the pears over the salad, and serve with the warm crostini on the side. 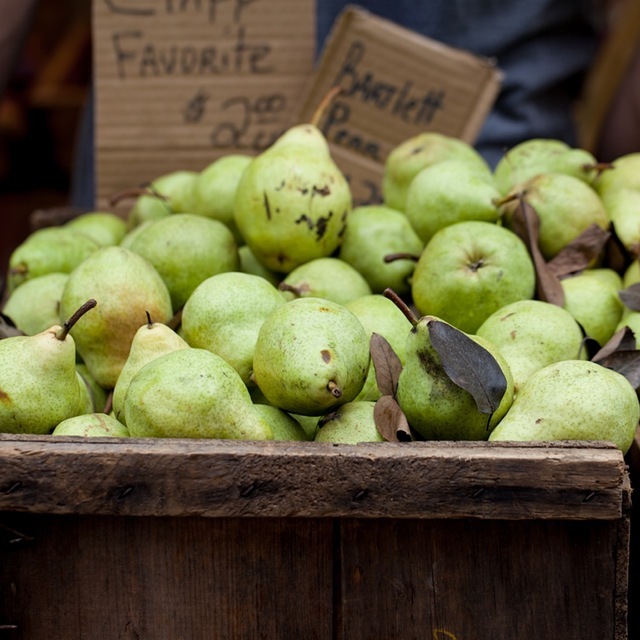 Featured Pear Recipes from Foodstand Posts! They should last you 2 days so you can make ahead. I used a slicer, as cutting by hand would probably be more trouble than it’s worth. But if you’re feeling ambitious, make sure to slice them thin! Preheat oven to 275 degrees. Halve each pear and using a melon baller or ice cream scoop, cut out the core (including the stem). Using approximately 1/8-inch setting on a mandoline, slice each pear half into thin slices (should make about 10 slices for each half). Mix sugar and spices in a small bowl. Place pears on parchment paper lined baking sheets, pat slices dry with a paper towel. Sprinkle the spice mixture over the pear slices and bake for approximately 1 hour until dry, turning the tray once after the first 3 minutes for even cooking. Cool on rack or sheet. Store airtight up to 2 days. Pre-heat oven to 420 degrees (400 w/ convection). Prep a rack over a roasting pan. Slice pears and shallots flat (slice most on the thicker side, but still flat and save some pieces to slice very thinly to stuff the chicken with). Spread thick pears and shallots on top of the rack. Separately, clean chicken by removing insides from the center and discarding (or if you want to cook or make broth, save it for later). Pat chicken dry with paper towels, you don’t want there to be excess moisture to steam the chicken. In a food processor, add cool butter, garlic and herbs and pulse until blended. Using clean hands, spread butter underneath the skin on the: breasts, back, and legs. Clean your hands because they’ll be super oily and transfer the chicken directly on top of your sliced pears and shallots. Do your best to cover them completely as any pears and shallots that are totally exposed may burn. Stuff the chicken’s inside with thinly sliced pears and shallots, you can also spread any excess butter in there. Sprinkle sea salt/fleur de sel over top of chicken and optionally tie the legs and wings with cooking twine (it will keep the meat moist). 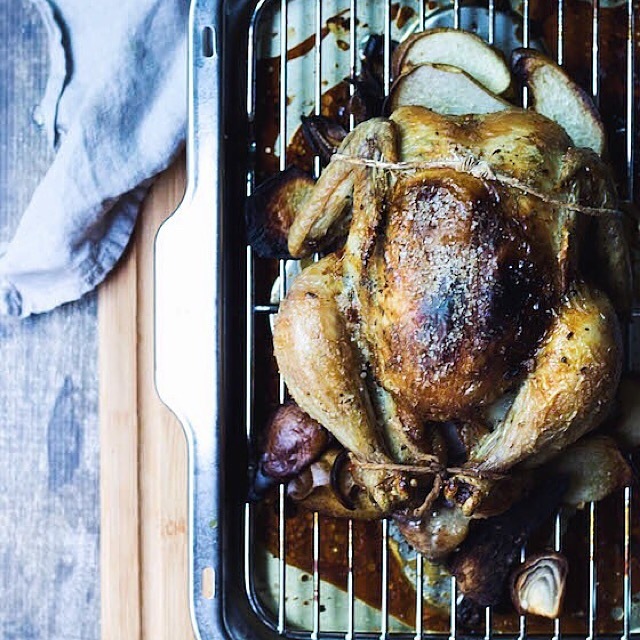 Pop your bird in the oven and roast for approx. 1hr 20mins (without convection on 420 degrees) or 50min-1hr (with convection on 400 degrees) – do not pull the chicken out until you’ve probed it with a meat thermometer. It’s done when the thickest part of the chicken has reached 165 degrees. Remove chicken and let rest for 10-15 minutes, place on a serving dish with pears and shallots, carve and serve hot! 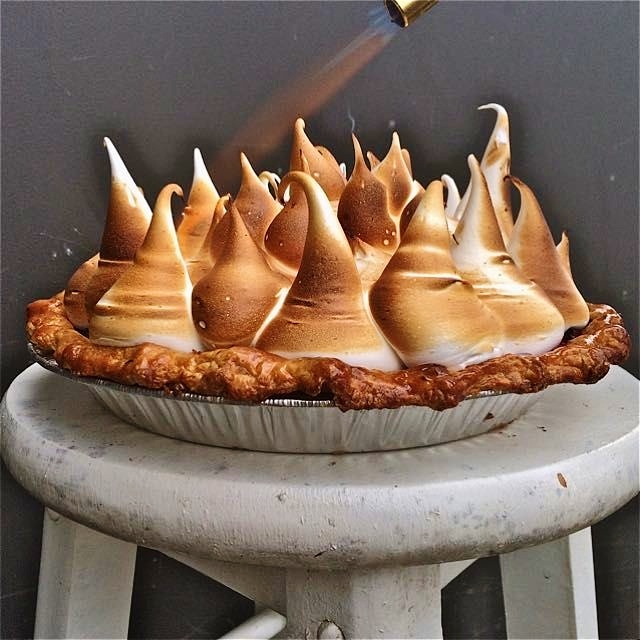 Cranberry pear pie with maple meringue. 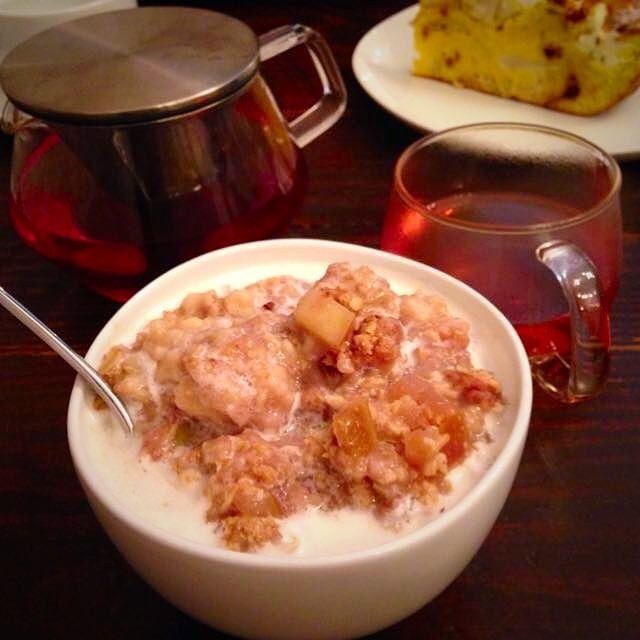 Early am baked apple pear oatmeal with steamed almond milk and rose chai latte! 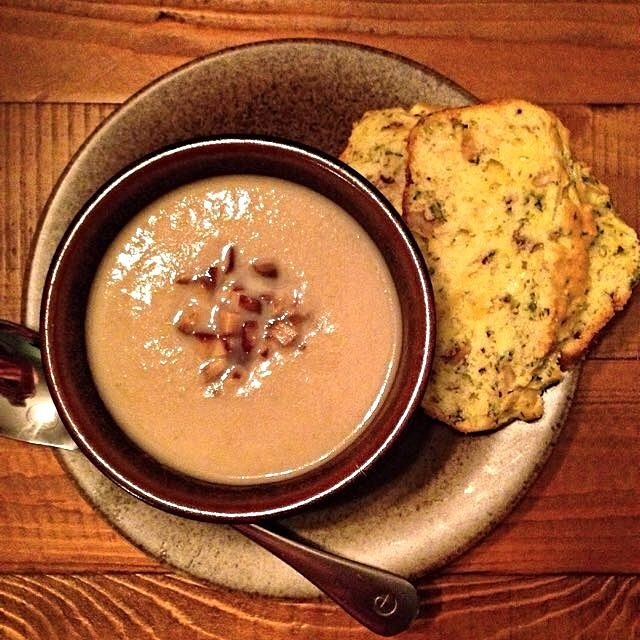 Parsnip, pear and chestnut soup. Savory cheese and herb bread. Both adapted from Around My French Table by Dorie Greenspan. Lunch on!